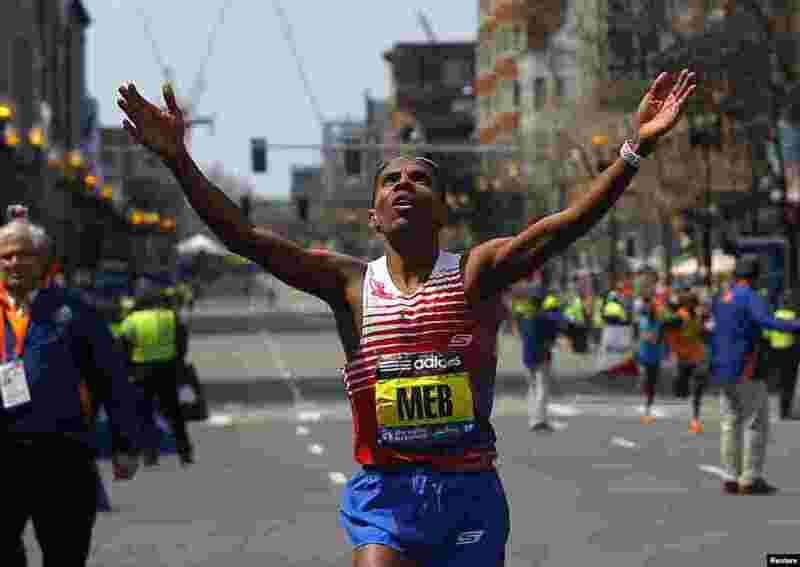 1 Meb Keflezighi of the U.S. reacts as he wins the men's division at the 118th running of the Boston Marathon in Boston, Mass., April 21, 2014. 2 Meb Keflezighi of the U.S. (right) is congratulated after winning the men's division of the 118th running of the Boston Marathon. 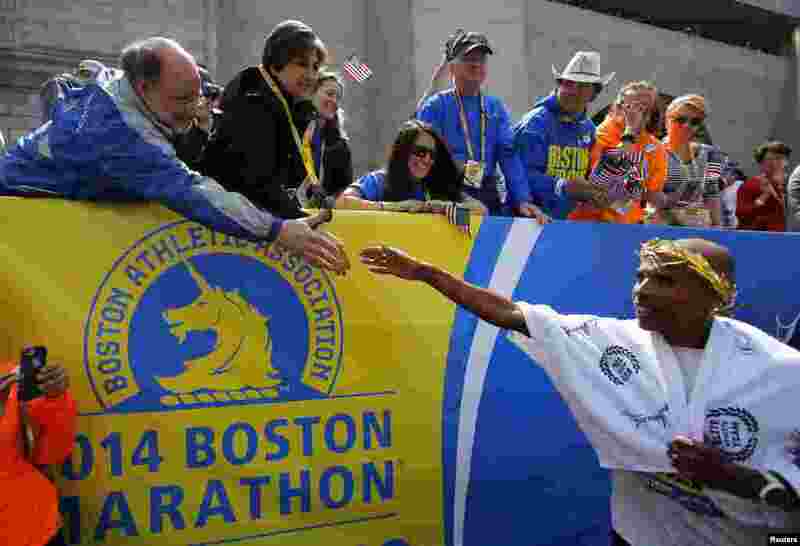 Keflezighi is the first U.S. male athlete to win the Boston Marathon in three decades, Boston, Mass., April 21, 2014. 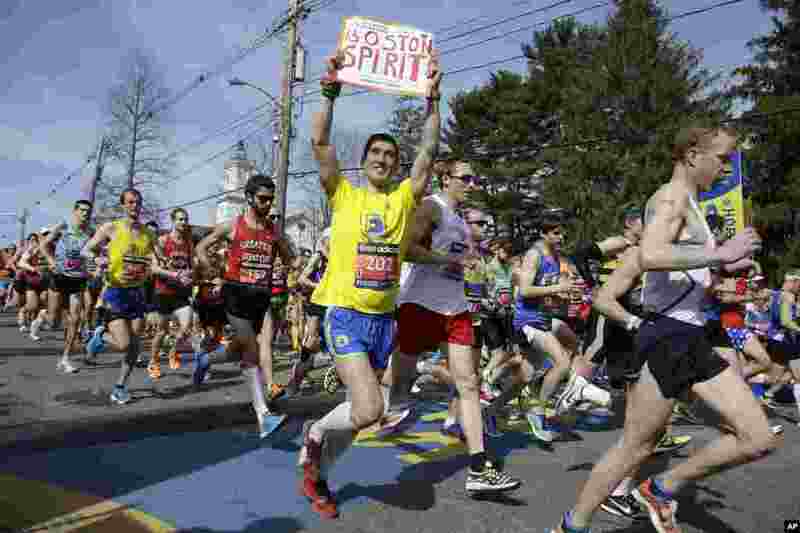 3 Runners in the first wave of 9,000 cross the start line of the 118th Boston Marathon, in Hopkinton, Mass., April 21, 2014. 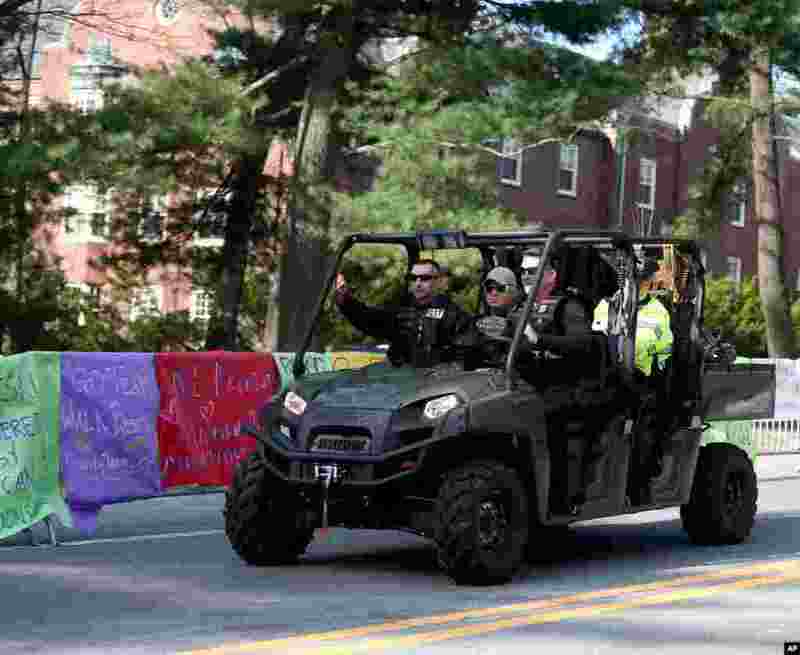 4 A State Police Special Response team patrols past posters of encouragement at Wellesley College before the start of the 118th Boston Marathon, Wellesley, Mass., April 21, 2014.